Laserliner MultiMeter Home is a compact analogue multimeter for measuring tasks at home & for hobbies. 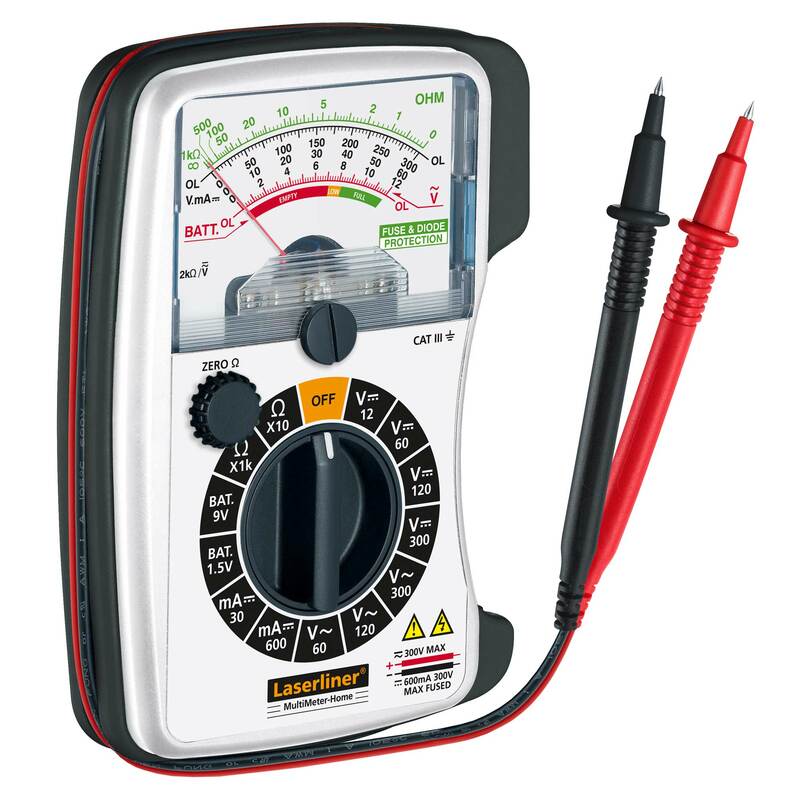 Reliable, fast and precise voltage, current and resistance measurement. 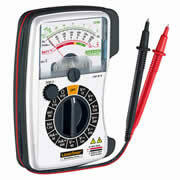 Battery test function for measuring battery charge status on 1.5V round cells, AA, AAA, C, D, 9v flat cells, E-block. Function and range changeover without reconnecting cables. Diode test function. CAT III – 300V Can be used for measurements in building installations. Large, easy-to-read analogue scale with zero point adjustment. Compact casing with integrated test leads. Includes 1 x AAA battery and 2 x test probes.